London, 4th February 2016 – The International Advertising Association has announced Alistair Macrow, Chief Marketing Officer of McDonald’s UK, as the Jury Chair for the 2016 Effie UK Awards competition. McDonald’s has consistently ranked in the Top 3 Most Effective Brands Globally in the Effie Effectiveness Index, since its launch in 2011. Effie Awards have launched in the UK as a result of an ongoing strategic alliance between Effie Worldwide and the International Advertising Association (IAA). Faris Abouhamad, IAA Chairman and World President stated, “We are delighted to see Effie Awards in the UK launch so strongly, under the leadership of the IAA. The appointment of Alistair Macrow to this key role is a testament to the Effies being a must-win award recognition in the UK, in a world where creativity is admired but effectiveness delivers the bottom line!” Effie Awards UK launched its inaugural Call for Entries in October 2015. Submissions were accepted through 8 January 2016. Alistair Macrow will oversee two rounds of rigorous judging, which starts in February. Winners will be announced at the Effie UK Awards Ceremony on 19th May 2016. Around the world, the Effie Awards are known by advertisers and agencies globally as the pre-eminent effectiveness award in the industry, and recognise any and all forms of marketing communication that contribute to a brand's success. 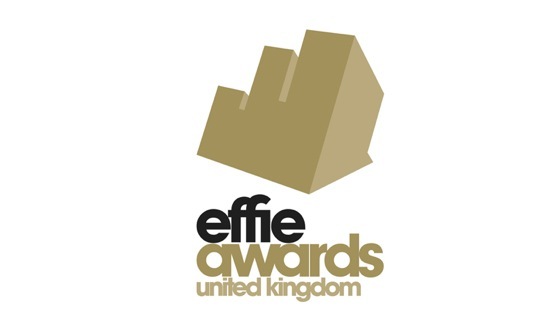 In the UK, the Effies were launched in 2015. Effies are devoted to championing and improving the practice and practitioners of marketing effectiveness. We aim to spotlight marketing ideas that work and encourage thoughtful dialogue around the drivers of marketing effectiveness, while serving as an educational resource for the industry. All Effie UK Awards finalists and winners will be included in the annual Effie Effectiveness Index rankings. The Effie Index identifies and ranks the marketing communications industry’s most effective agencies, marketers, and brands by analysing finalist and winner data from all Effie Awards competitions worldwide. For more details, visit www.effieuk.org and follow the Effies on Twitter and Facebook. The International Advertising Association (IAA), headquartered in New York, was founded in 1938 to champion responsible marketing. The IAA, with members in over 40 countries, is a one-of-a-kind global partnership comprising advertisers, media, advertising and public relations agencies, media companies, and academics. The IAA is a platform for industry issues and is dedicated to protecting and advancing freedom of commercial speech, responsible advertising, consumer choice, and the education of marketing professionals. For more information please visit www.iaaglobal.org.